Judy Baca was conferred an honorary degree of Doctor of Fine Arts by the Trustees of the California State University and California State University, Northridge on Friday, May 18th, 2018. 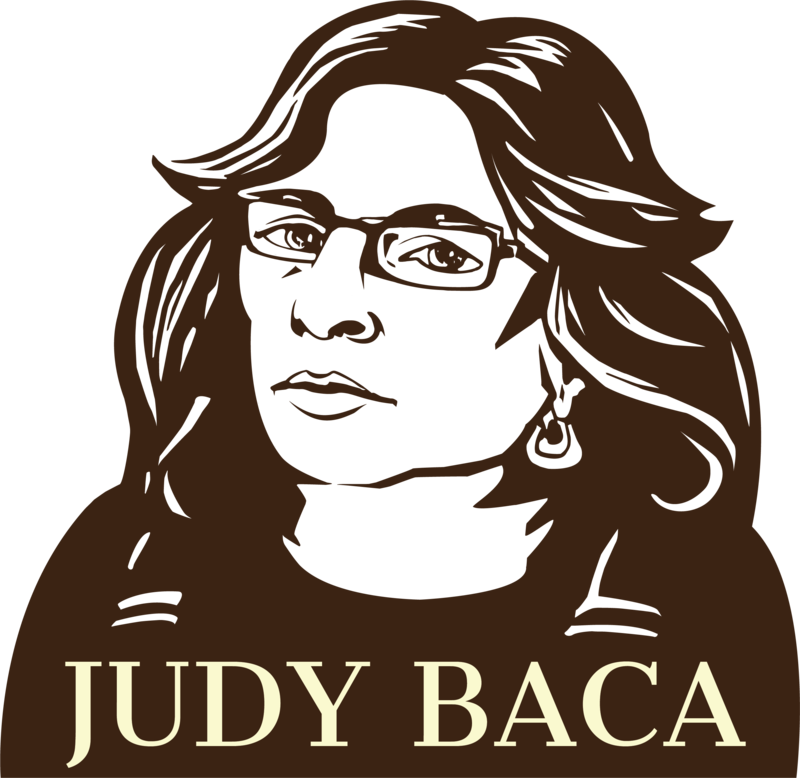 Judith F. Baca, an internationally known artist, educator and scholar, activist and community arts pioneer, celebrates and leverages the potential of art to effect social change. For the past 35 years, she has served as a professor of art; 12 of those years were in Studio Arts at University of California, Irvine and 23 years were at University of California, Los Angeles in the World Arts and Cultures and Chicana/o Studies Departments. In 2015, she received California State University, Northridge’s highest alumnus recognition, the Distinguished Alumni Award. In 2017, upon nomination by CSUN, she was recognized as the national Distinguished Alumnus of the Year by the American Association of State Colleges and Universities. A self-described “political landscape painter,” Professor Baca channels the creative process of monumental public art to develop models for the transformation of physical and social environments in public spaces. An alumna of CSUN in art with a Bachelor of Arts (1969) and Master of Arts (1980), Professor Baca creates public art that reflects the lives of historically disenfranchised populations, including women, the working poor, youth, the elderly, LGBTQ people, and immigrants. Throughout Los Angeles, and increasingly in national and international venues, Professor Baca’s projects have often been created in impoverished neighborhoods that became revitalized by the public engagement these works generate. Her work, grounded in scholarship and community participation, reflects a profound conviction that the voices of disenfranchised communities need to be heard and that the preservation of community engagement is critical to a healthy society. Her work is included in museum collections nationally. She is a recipient of the Guggenheim Fellowship, the United States Artist Rockefeller Fellowship and over 50 awards from various community groups. In 2012, the Los Angeles Unified School District named a school after her, the Judith F. Baca Arts Academy, located in Watts, her birthplace. Professor Baca founded the first City of Los Angeles Mural Program in 1974 and the Social and Public Art Resource Center (SPARC) in 1976. She still serves as SPARC’s artistic director and designed one of its most significant and recognized murals, “the Great Wall of Los Angeles.” Located in CSUN’s own San Fernando Valley, the mural spans a half-mile and remains a work in progress, engaging another generation of youth. The mural-making process exemplifies community involvement, employing more than 400 youth and their families from diverse social and economic backgrounds, artists, oral historians and scholars. In 2017, “the Great Wall of Los Angeles” received national recognition on the National Registry of Historic Places by the U.S. Department of the Interior. Professor Baca also created, and leads, the UCLA@SPARC Digital/Mural Lab, which produces large-scale, digitally generated murals, public art and community cultural development practices. 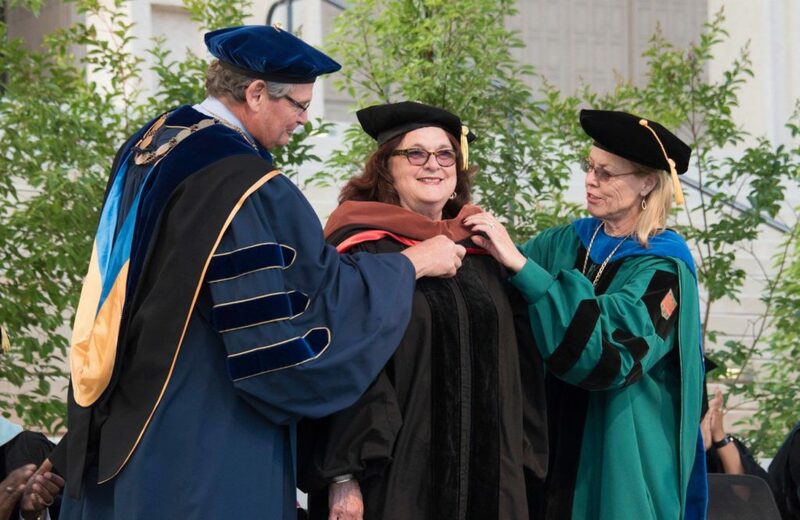 In recognition of her many accomplishments and contributions to the university and the community, the Board of Trustees of the California State University and California State University, Northridge, are proud to confer upon Judith F. Baca the honorary degree of Doctor of Fine Arts.